Hey everyone, I’m really excited that it’s #30DaysWild time again! 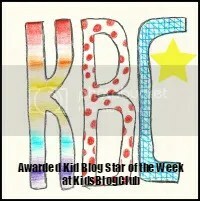 I found great joy and fun writing my blog every day in June last year – and I was really chuffed to win the Youth Blogger category! This year I wanted to try something really different and conquer some intense fears I’ve had, which reared their head very scarily at a conference I recently attended. My biggest hurdle as a young autistic person is social communication. Last week in Manchester, I confidently made a speech about youth in conservation, to over 200 leading ecologists at the British Ecological Society conference. Afterward, I completely froze and could not communicate. The only exception really was Professor Sir John Lawton, Vice President of the RSPB – he asked me about Hen Harriers – yes! I can totally talk about Hen Harriers! The rest of the time though, all I heard were thunderous noises and everything was so slowed down, by the time I had processed the question, it was too late. At one point, I walked away, completely overwhelmed and another I just felt like I was going to explode with sensory overload. It was devastatingly awful. I want to change though, I want to prepare myself, I want to be able to communicate and share my ideas, my stories…my knowledge! Myself and Sir John, away from the hustle and bustle, more relaxed and easy. The inability to converse and share my thoughts, right now – gave rise to an idea. What if I communicated to a camera to share my love of wildlife – would this help me to be a better communicator all around? I’m not sure if that will be the end result but it won’t make it any worse! So, for 30 Days Wild, I’ll make a video every day. Every day I hope to get better and every day, mum will add other distractions, such a question – to see if I can navigate them and still concentrate and communicate. I’m really excited to try this challenge and see if it positively affects my ability to communicate with other people and generally inspire me, to become more forward in my passion and enthusiasm for nature, wildlife and conservation! I really want, in the future, to become a wildlife communicator, maybe not a brilliant one like Chris Packham, but better than I am right now! Here’s my first video! Yikes! Next Next post: 30 Days Wild – Day 02 – Life around and in a pond! I think you did very well and I enjoyed your description of the Bullfinch. I haven’t seen a Bullfinch for a long time so it was lovely to see your photographs. I probably was the source of some of the ‘noise” after your presentation at the conference. I am sorry that I was rubbish at reading that situation. I was just so blown away by your achievement. Keep standing up for nature and those of us who feel the fear and do it anyway! Not at all Carol. It was the culmination of everything and I’d hate for people to feel blame – it really isn’t like that.